Every team selected on FanDuel will consist of 9 Players totaling $60,000 in Cap Space. Each roster is restricted to 4 players from a given team. For the latest Fanduel review and Fanduel promo code, don't forget to read our articles. You can sign up today and receive a free contest! One major difference on Fan Duel versus Draft Kings is that Fan Duel does not offer late swap. That means at 7:00 lock your lineup is finalized. If you submit a lineup full of questionable players at 7:00 you are playing a very risky strategy. My personal strategy that I have had success with is following beat writers and deciding if a players status is worth the risk. For the most part I will avoid situations entirely and let other players risk it. When in doubt, fade the possible late scratch. NBA DFS is quickly becoming a favorite DFS sports for casual and pro players due to the level of predictability you have. It is on the complete opposite spectrum of MLB. In MLB DFS, Mike Trout can go 1-4 with a weak single and 3 warning track fly outs away from an elite day. They only have 4 opportunities essentially to score their points. In NBA, that couldn't be further from the truth. If you are an elite talent in the NBA you are having 15+ shot attempts and playing 30-40 minutes per game. Night in and night out our NBA superstars will have a lower standard deviation on fantasy points due to the consistency of play. This explains the reason why minutes are so important. If you aren't in the game you cannot score, steal, get rebounds and essentially score fantasy points. 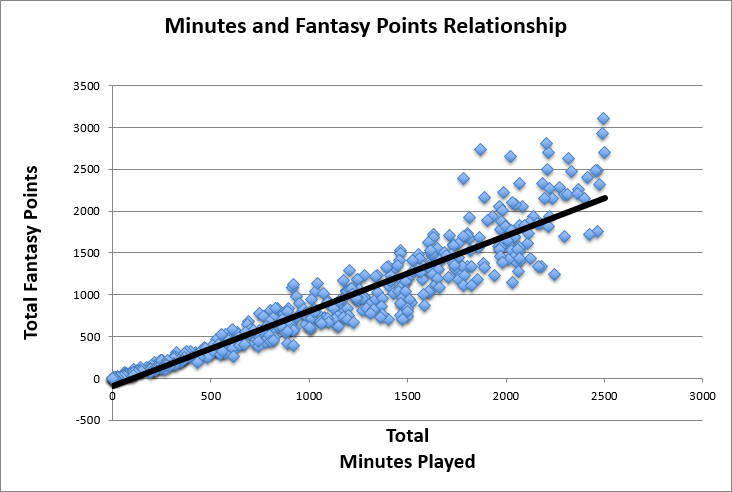 If you lined minutes and fantasy points per game you would see a near perfect correlation. The most important aspect with minutes relates to your second string players when injuries occur. DraftKings and FanDuel set their price day or days in advance for games. In NBA, we learn very pertinent information minutes before tip-off; this becomes your edge. The Atlanta Hawks have clinched a playoff position and elected Jeff Teague and decide to rest Jeff Teague– he has been averaging 35 minutes per game. Who is the biggest beneficiary of this injury? Most likely it is going to be his replacement, Dennis Schroeder. When we see Schroeder priced at below 5k it makes sense, he is a backup seeing 15-20 minutes per game. Post Teague sitting out we now have a $5k player that will be primary ball handler in an efficient offense. He should see 30+ minutes and is priced still as a backup. *Note that is a very linear example. It is your duty as a DFS player to find out who is going to benefit from an injury – whether it's a backup or other starter still in. If this is your first NBA season, be prepared to read FP/Min on every single information or destination site. 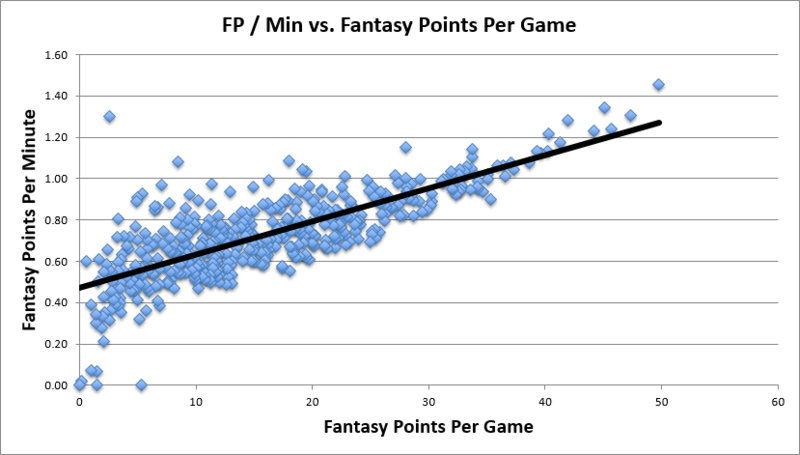 FP/Min (Fantasy Points Per Minute) is actually how it sounds. 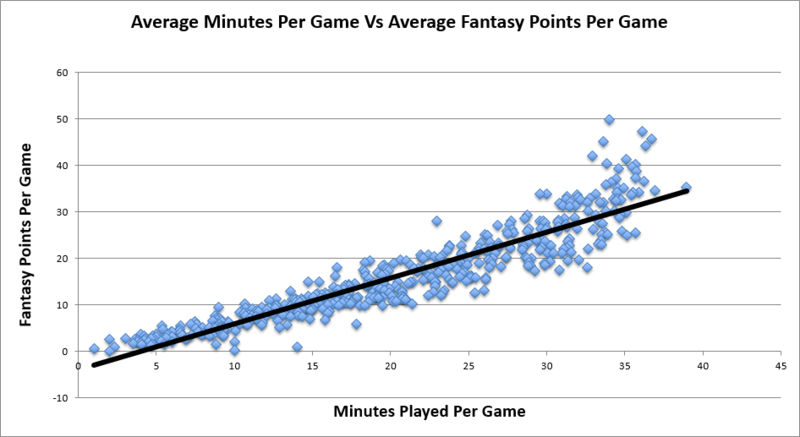 You divide the players Fantasy Points by minutes play. That will give you a baseline estimation of what you can expect from a player in 20 minutes versus 30 minutes. This is a premium way to evaluate you bench players that are going to be seeing an uptick in minutes. It helps you decide which player would be more efficient in the new prescribed role. As you can see, at its simplest form, Shaun Livingston is the better play in our scenario. If you want to be successful in NBA DFS get used to reviewing and understanding Vegas Lines. Vegas is in the business to set accurate lines for the public. If they set a “weak" line sharps will attack it and win lots of money off of Las Vegas. The best part about Las Vegas is that is is public information. They have some of the sharpest sports modeling minds in the world using computers and advanced math to determine what the appropriate game total is for the Houston Rockets and Phoenix Suns game. As you know, both of these teams play an up-tempo pace and any game total fewer than 220 is probably incorrect. By targeting high total vegas games, you can ensure more fantasy production within that game, meaning more opportunity. Very simply, only play NBA DFS if you will be around your computer in the 30 minutes before lock. This is literally the most crucial part of NBA. You could spend all day researching, building great lineups, only to have your core player leave with the FLU 20 minutes before lock. The best way to stay up-to-date on injuries is by following beat writers. 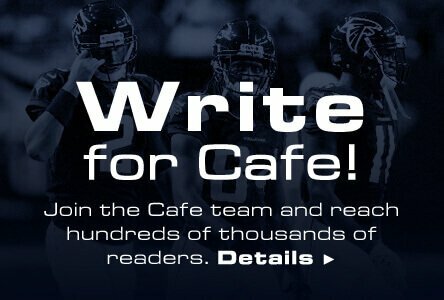 If you are new to DFS I would suggest following @DFCAFE on twitter for all injury news. We will filter the misinterpreted or incorrect news making sure you only receive the best. If you have read our previous articles you will know that roster construction is king. In the case of FanDuel, all players and positions are fixed. This leaves very little room for flexibility amongst players. It is up to you to make decisions on what positions to spend and what positions to punt. This may seem like a generalized statement but you must understand your slate. Are there blowout games? High Vegas Totals? Players Resting? All of these answers are crucial to understand before you even begin constructing your lineup. They will be essential to your research and projections. Pre-face – Take your time and read this section multiple times. NBA is a game of give and take; you have to select 2 PGs, SGs, SFs, PFs, and 1 Center. Unfortunately that means it is possible you have slates where you have 7 Point Guards you really like and no Small Forwards (this happens far to frequently). You will need to select 2 of your 7 PGs and find (2) SFs to fit in your lineup. You will see very fast which positions have the high priced studs you are targeting versus which positions are your target value spots for the night. Example: Small Forward position is very weak and you project Lebron James at 48 Fantasy Points while the next closest SF is projected at 24 Fantasy Points. You must make a decision on if the “positional advantage" Lebron James provides you, is worth the sacrifice at other positions. Essentially you are gaining a 24+PT advantage at the Small Forward position by playing Lebron James. This example will occur at each position – This brings you to the final stage of the process. Essentially this is the easiest part of the process. You have found your positional advantage for the slate and decided which players are most optimal for you. At this point it will be “tinkering" your lineup to give you a player you like at EVERY position. Not only a player you like but also a player that makes sense with the rest of the night. A great way to begin your lineup building process is to decide who your top 4-5 players are – your “non-negotiable". These may be the top value plays of the night, essential studs etc. The great part about DFS NBA is not every night is the same – it leaves your lineup construction as a puzzle where each player must work together based on their respective positions.